Mohamed Salah: Next stop, 100 goals! Mohamed Salah has already set his sights on a century of Liverpool goals. When he converted a second-half penalty against Red Star Belgrade at Anfield last month, the Egypt international set an astonishing club record. Never before had a Reds player reached the tally of 50 strikes in as few games as Salah, the No.11 needing only 65 appearances since joining from AS Roma to achieve the milestone. It is a feat the 26-year-old was humbled to complete – but he is not satisfied. “I’m glad about that. I’m always very happy and proud to break records, especially records at a club like Liverpool,” Salah explained to BBC Sport. 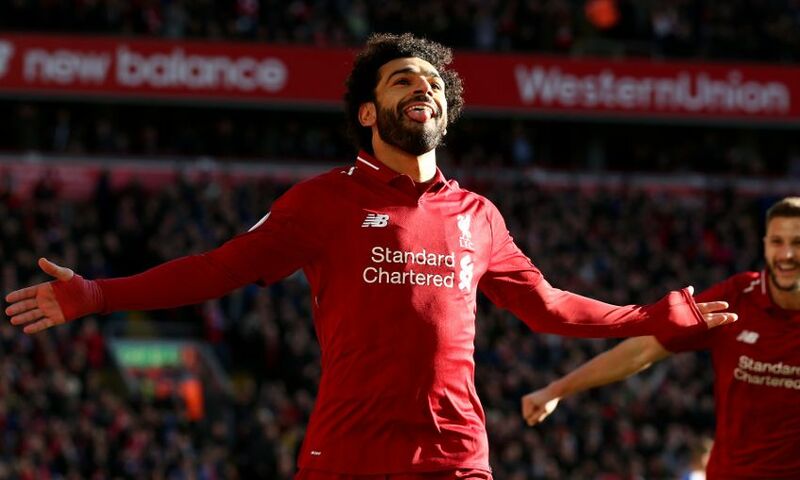 Salah has been nominated for the 2018 BBC African Footballer of the Year award, which he won a year ago, alongside Liverpool teammate Sadio Mane, plus Medhi Benatia, Kalidou Koulibaly and Thomas Partey. During and after a debut season at Anfield that included 44 goals in all competitions, the forward was inundated with personal accolades – everything from the Premier League Golden Boot to the club’s Player of the Year to PFA recognition. What he craves above all else, though, is team success. “What I have achieved with Liverpool is something great, when I look back,” added Salah. “When I came here at the beginning, I had a dream and things in my mind I wanted to achieve. We were very close to one of them but we lost in the final. But I think we are on the way and I am happy about what we are doing. “To motivate myself, the team comes first – we need to win titles and we need to achieve something together. That’s something that always motivates me.